As office design in the UAE shifts towards more open plan, activity-based layouts, demand for readymade modular furniture is increasing as the market is showing clear signs of moving away from fixed bespoke joinery items in favour of more flexible off-the-shelf furniture. “Five years ago custom joinery represented 18% of our project scope, now it is just 6%. Procurement of furniture, on the other hand, has increased from 15% to 24% of project scope. In our experience this trend mirrors the shift away from enclosed, segregated offices to more open plan, collaborative environments,” said Marcos Bish, Managing Director, Summertown Interiors. According to Bish interior design firms in the UAE are following the global trend towards activity based workplaces in order to support the demands of a more mobile millennial workforce for their clients. These workplaces are less hierarchical and are designed to facilitate collaboration, personal accountability and flexibility. “Activity based workplaces incorporate innovative workspaces and technology tools to empower individuals to choose different types of work settings to suit the objectives they need to achieve at that moment. Furniture manufacturers are responding with some great modular systems to support this new way of working,” he said. However, off-the-shelf does not mean cookie cutter either with manufacturers offering a range of finishing options such as style of table legs, colour of table tops, or texture of upholstery, to help customise the furniture selected. With employee efficiency a top priority, transparency has also become a pervasive design theme. Joinery items, like wooden doors and partitions, have been replaced with glazing set in aluminium or steel frames. 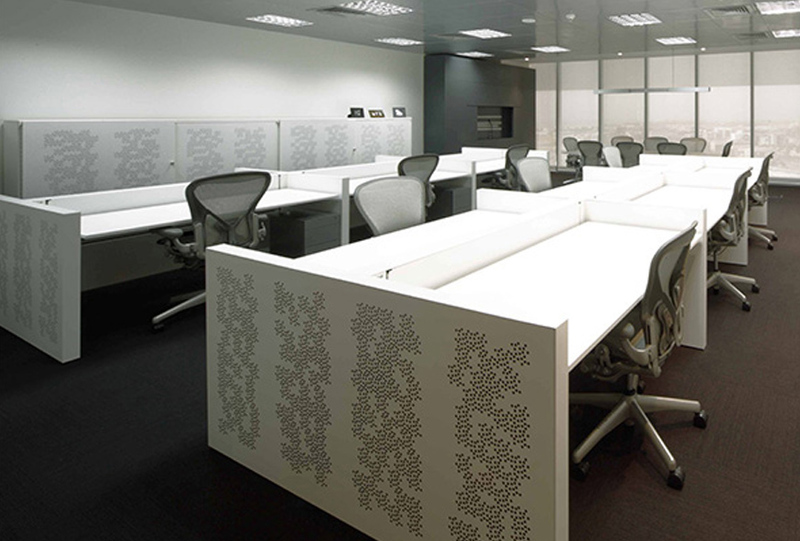 Long shared desks with mobile pedestals are increasingly replacing single workstations. In addition to facilitating a more collaborative organisational culture, activity based workplaces offer businesses space and cost savings on their fit out. “Not only does this style of workplace have the potential to reduce the total floor space occupied, off-the-shelf furniture procurement is often more cost effective than bespoke joinery and makes a fit out project less design intensive and more sustainable. All of this offers considerable cost and time savings,” added Bish.